Following is a list of supplies for Broad-Edged Lettering workshops such as Italic, Carolingian, Uncial, Gothic, and Foundational. When registering for the class, please also add this Supply Kit to your cart and it will be ready for you when you arrive to class. 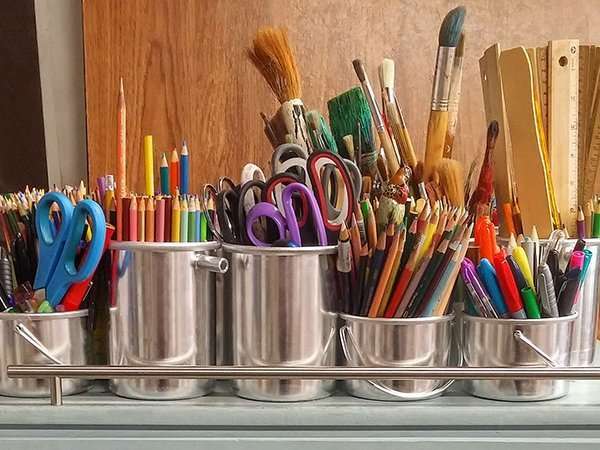 FYI, The Abbey Studio will also have some additional supplies on hand for student use during workshops, as needed: drafting tape, art paper, assortment of Designers Gouache paints, mixing brush, Armenian Bole, gold gouache paint, mixing dish, gesso, T-square, centering ruler, paper towels.